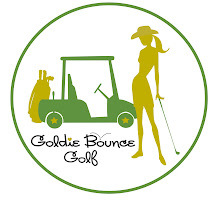 Eric Jones is a man on a mission ~ to empart to his students the gems of knowledge he's garnered over the years through his own experience hitting golf balls a really lllooonnngggg way! 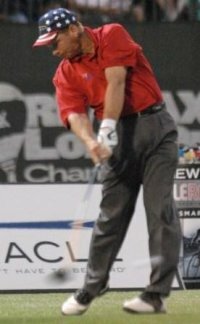 A few years ago on a lark he decided to try his hand at competing in Long Drive and in his first time out Eric won the 2003 RE/MAX Senior World Long Drive Championship! A PGA Teaching Professional, Eric also has a Master's Degree in Sports Psychology and has written numerous books on the techniques of mastering the game of golf ~ his teaching philosophy integrates the mind with the mechanics of the golf swing. Eric's most popular book ~ The 5 Keys to Distance is in it's second printing! Currently documenting his journey to the 2010 RE/MAX Senior World Long Drive Championship, Eric also owns a teaching center in Northern California www.seavergolf.com.